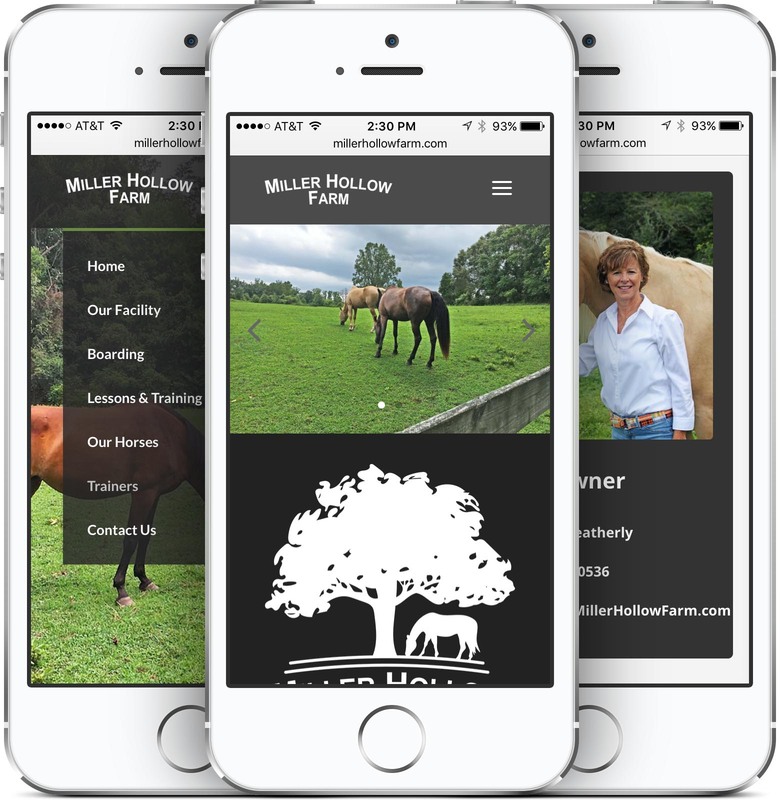 Miller Hollow Farm discovered Pioneer Media by Googling for a good web designer in the East Tennessee area. We showed up on the 1st page, and the owners called us up. 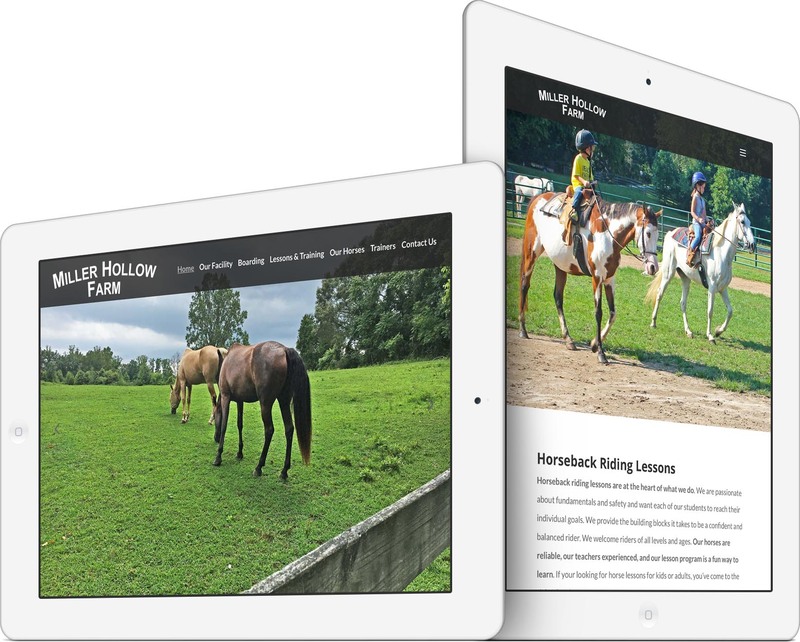 They did not have any website for their horse boarding and training farm, so we ordered MillerHollowFarm.com and got started on a design! Their High-Def photographs truly give life to the modern design. 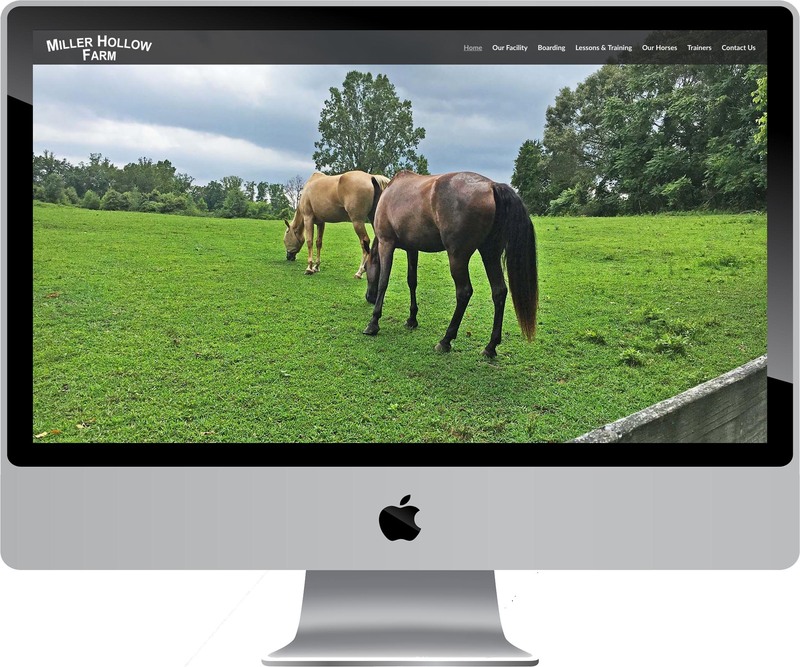 The opening home page shows a full-screen, HD photo of 2 horses on their farm. The design is mobile-friendly, and the code has been optimized for search engine rankings. The new website has been submitted to search engines for inclusion and optimized for better ranking. 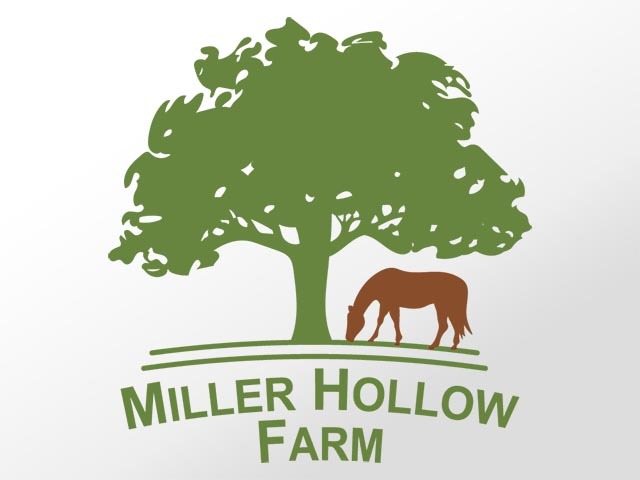 For our maintenance service, we provide secure web hosting, domain registration, email hosting and management, analytics traffic reports, SEO monitoring, uptime reports, site updates, security patches, backups, and more for Miller Hollow Farm. We are a family owned and operated horse boarding facility. We have been open since 1975 under the professional and watchful eye of Jane Weaver, who has been in the horse business for 60 years. We offer horse boarding, as well as training and lessons.